Where is it now? Do you know? Get in touch. 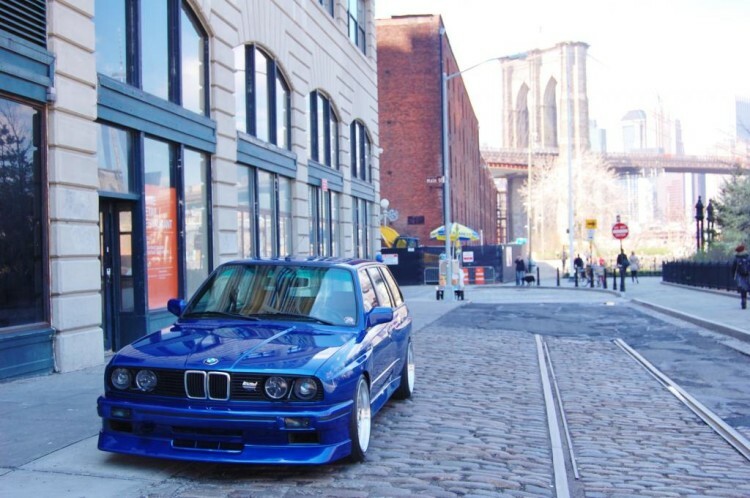 One of only a few in the world – BMW E30 M3 Touring tribute! 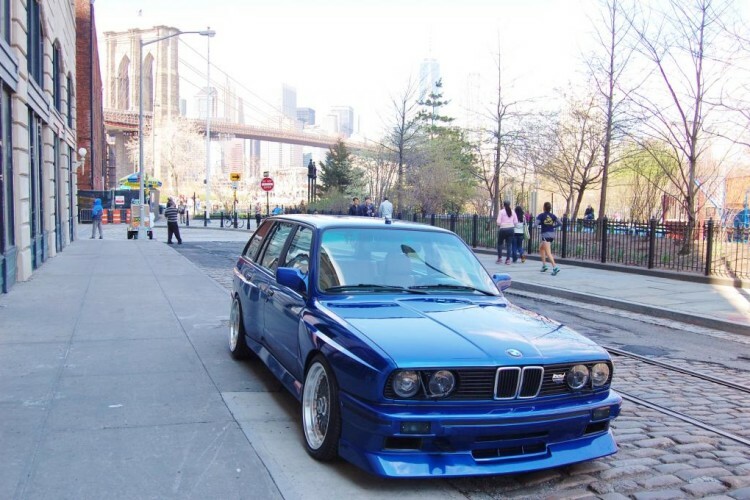 All custom made on e30 US chassis using Euro e30 Touring and US E30 M3 Body plus Euro E36 M3 s50b30 engine. There is nothing left original on this car except for the floor, roof, side glass and rear gate. Everything has been completely modified – body, interior, suspension, engine, wheels etc. This Touring has been featured in Performance BMW Magazine (April 2013 issue) It also won numerous awards at different BMW shows! This car can be enjoyed as the show car or as a new daily driver depending on owner’s preference. 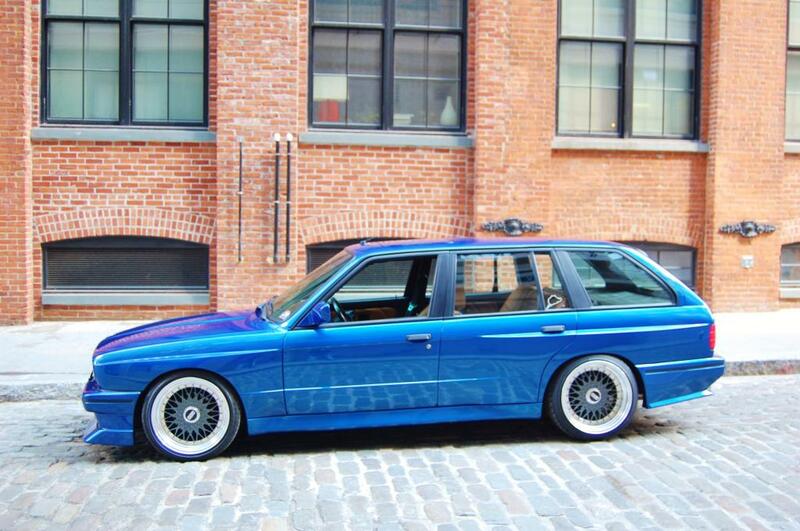 Once thing for sure, the new owner will not be disappointed and most likely will never see another e30 M3 Touring on the road! I have all the receipts and documentation from the restoration as well as the documentation for the donor cars (US chassis, Euro Touring Body & US E30 M3 Body used in the conversion) plus all the parts that were used. This car is registered, insured and inspected as a collector’s vehicle. I have clean title in my possession. 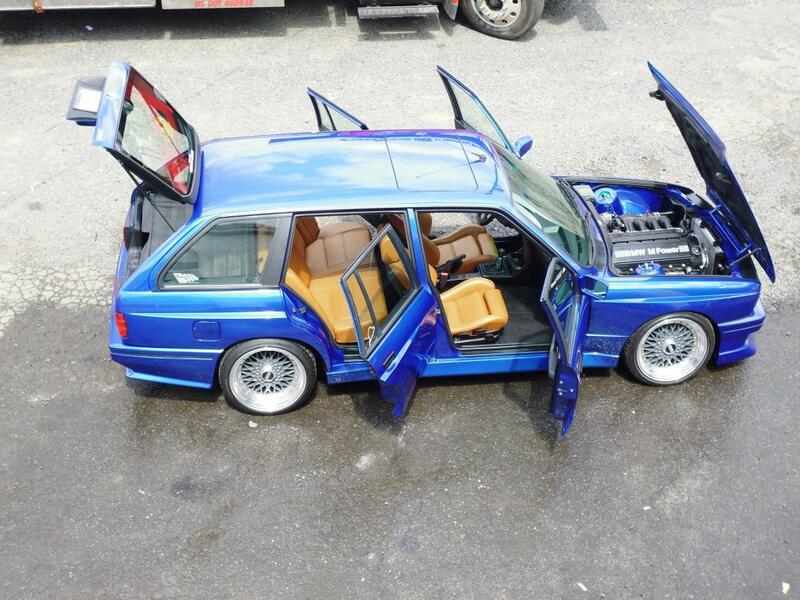 Euro S50B30 (Euro E36 M3 3.0L OBD1) engine with about 80k miles, all new gaskets, water pump, seals, hoses etc at the time of swap. 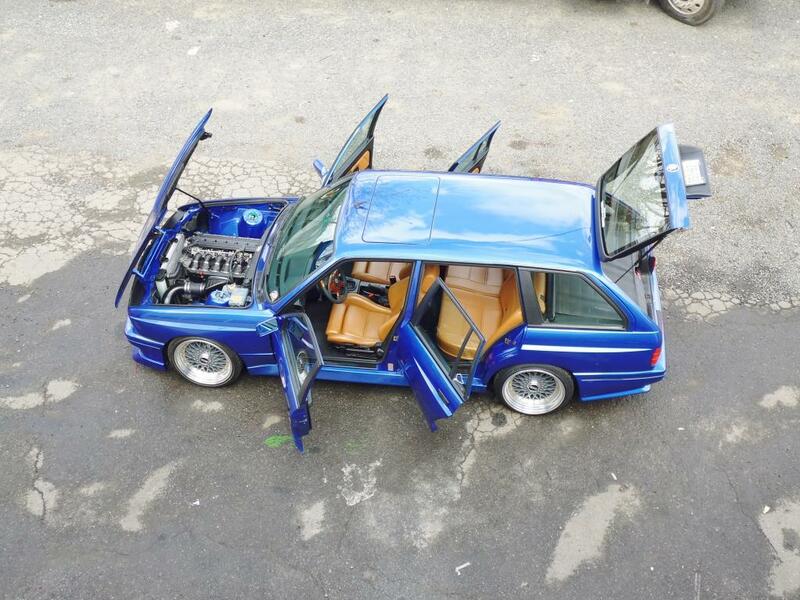 Super Clean Swap – all wires are tuck + engine bay shave – very nice look! 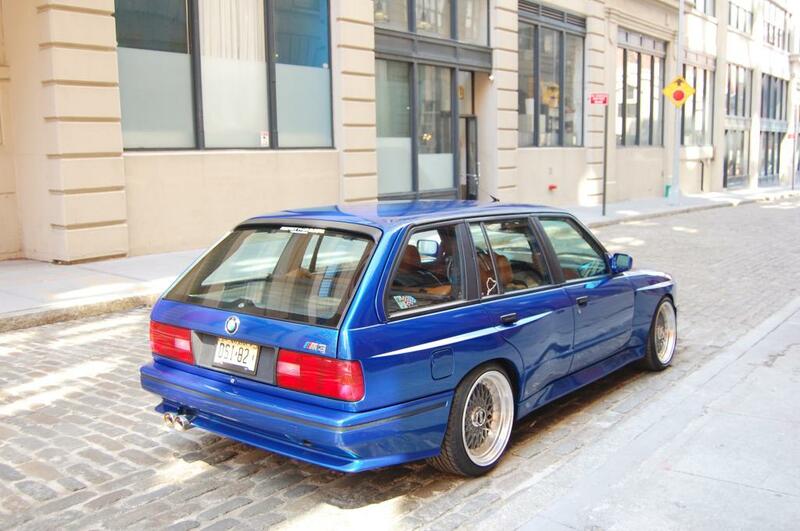 One of the cleanest swaps you will ever see in an E30! Vented Z-Roadster rear cover, Custom Headers and Exhaust. Engine runs super smooth and pulls like a freight train! Mobil1 Synthetic oil always used ! There is no AC in this car. Heat is disconnected as I never drive it in the winter. 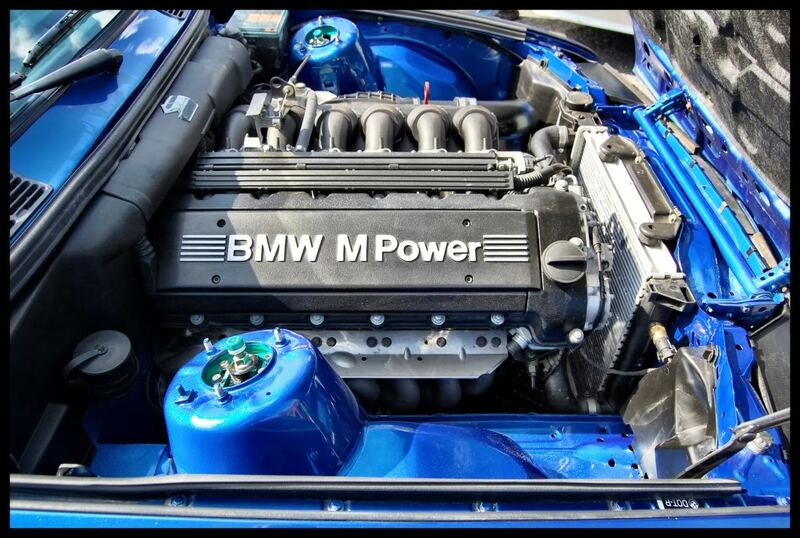 All Metal OEM BMW M3 parts, custom work + custom paint, only the best materials are used, quality primer, paint and clear! This car is stunning in person! There is pretty much nothing original left on this car except the side glass, everything else was modified, updated and replaced! All new door seals, hood seals, bumper seals, sunroof seals (all OEM from BMW) at the time of repaint! Very RARE original Euro e30 MHW tail lights! Euro rear license plate holder. Euro front headlight wipers (for looks) and many many other unique & rare parts! 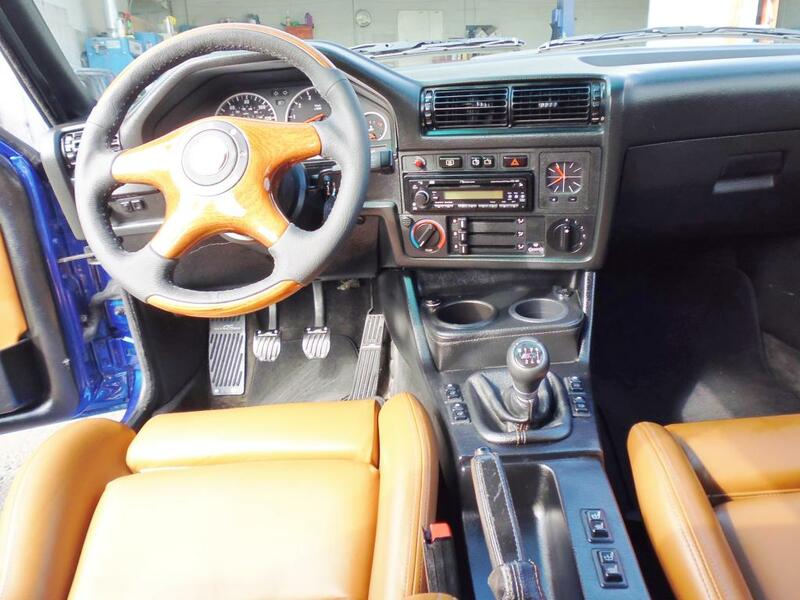 Fully custom e30 M3 sports interior in Audi Cork color with blue stitching! Euro e30 clock, custom cup holder with 2 outlets for 12v supply. Headliner was dyed black (has few pushpins to hold it tight). Front control arms with M3 bushings, front links, rear control arm bushing! Rebuilt front calipers, new cross drilled rotors, BBS RS style wheels: 17×8.5 front with 205/40/17 tires and 17×10 245/35/17 rear tires, new alignment! The adjustability of the suspension can make this car from race machine to city cruiser in just a few clicks, you will also have the ability to raise or lower the car according to your liking!